Statistics! Everyone loves statistics! Or maybe it’s just the RPG and baseball fan in me. Let’s move on to the actual numbers. Back on May 10th, I chose 3 free promo days for my novel with my publisher. I decided I wanted to make The Exile’s Violin free starting on the 20th because it was my birthday. Knowing that I couldn’t just make the book free and expect the downloads to pour in, I scoured the web and read several great posts that talked about how to capitalize your Kindle free days. Many of these posts also had lists of places for authors to promote their books. Their advice seemed easy enough to follow, so I did what I could and submitted my book to places that promote free Kindle books. BookBub: BookBub didn’t accept my book (no idea why), but it would have cost me $90 to be part of their Fantasy Listing. From what I’ve heard, BookBub is worth the price. This is all anecdotal of course. Alright, those are all the places I submitted my book to. Next up is social media. I love Twitter and am on it all the time, so I knew I’d use that. I also decided to share my book on Facebook once during this period. I’m not on Facebook that often, and my Author Page has limited reach. Buuut, being stupid, I decided not to make a bit.ly account to keep track of how many clicks my links got. I just did their thing for free. I could see during that same day how many people followed my link to my book, but that was it. Let’s just say that I tweeted about my book at least 2 times a day during the promo period, with different messages each time, to my approximately 870 followers. Your mileage with Twitter and other social media platforms may vary. The important thing is to not spam people and to make it look like you’re trying to have a conversation. Post a link with no accompanying text or context won’t entice people to follow it. The same goes for tweets that look like this: “Download my free ebook! *link to said ebook*.“ Those will get you nowhere. All the above setup before the promo took me maybe a couple of hours spread out over the course of two/three days. In the big scheme of things it was relatively painless and only slightly repetitive to submit my book to various sites. Most of the time spent came from reading their guidelines and figuring out which ones required a “donation” before they’d even look at your listing. However it was all worth it when you look at the results. I don’t have any other free promo periods to compare my numbers with. I especially don’t have any data from a similar promo period with no publicity and sharing done in advance, so take these results with a grain of salt. However, I like to think that based on the chart positions and the number of downloads, when compared to how little time it took me, doing the legwork in advance paid off. I’d also like to add that the Author Rank on May 21st is not the highest I’ve been in the past month. On May 24th, I hit 19,183. To be honest, I’m not exactly sure what Author Rank is or what it means, but it feels good to see a chart with an upward trend. Breaking the top 100 for Free Kindle Books was a really big milestone for me. The same goes for getting into the top ten on the more focused SF and Epic Fantasy lists. 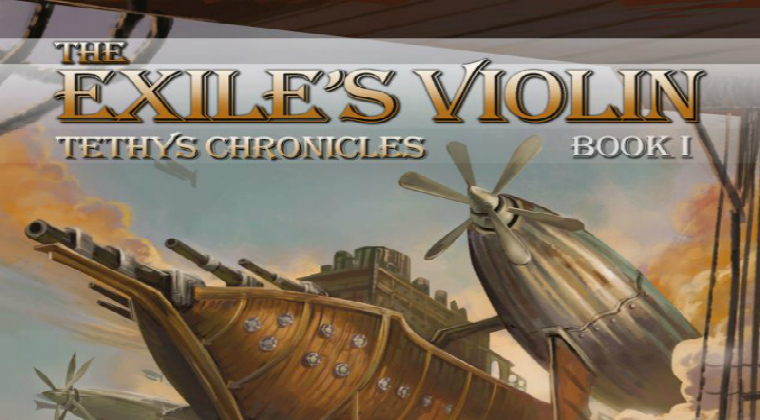 I don’t know if I’d categorize The Exile’s Violin as epic fantasy, but I’m not complaining. Considering I’m a no-name author with only one novel out there, this feels like a big deal. I’m also going to pay extra attention to my sales this quarter. I want to see if I experience any residual bump from the free promo. 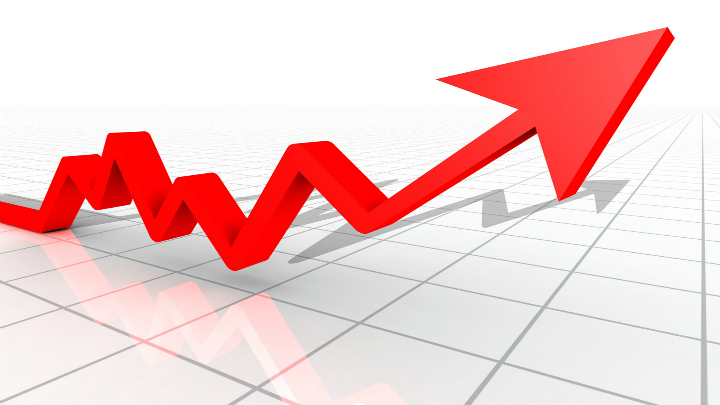 I’ve heard other authors (all anecdotal evidence) say that they saw an increase in sales after they ran a promo. I’ll also keep writing, and I hope to have Terraviathan out before the end of the year. Again from anecdotal evidence, I’ve also heard that running a free promo for the second book in a series can lead to an increase in sales of the first book. Or was it the other way around? Either way, having more books out there is better. The next time I do a free promo I’m going to try and submit my book to even more sites. I plan on utilizing Facebook more too. Also I hope BookBub picks up my book next time. They passed on it this time. Even though they can get pricey, I’ve heard that using them is money well spent. I hope this helps any of you who are planning to run your own free days on Amazon! February 23, 2012 / R.S. Hunter / Comments Off on You Got a Book Contract, Now What? Last night it really hit me that the process for getting The Exile’s Violin published is far from over. Over and over in my head I kept hearing myself say, “You got that contract. Now what?” I have a feeling that I’m not alone and many first-time authors are asking themselves that same question. So really, now what? As a writer your job doesn’t end once the ink’s dry on the contract. It’s not all hookers and blow (that can come later if that’s your thing). You still have a lot of work left to do. Usually what comes first is a round (or two or five) of content edits. Content edits are when an editor reads your manuscript and looks for problems with character development, pacing, plot, structure, names, and continuity. Usually things like spelling, grammar, and sentence structure are overlooked at this stage. For the most part, this is where all the heavy lifting is done with rewrites and revisions. An editor will make you realize you spelled something one way in chapter two and three different ways in subsequent chapters. They’ll help make your characters more rounded and interesting. A good content edit can help turn a good book into a great book. Great now that the revisions are done, your job as an author is done, right? Guess again Lazy McLazyperson! (See, a good editor would make a note that that’s not a very good character name) Now it’s onto copy edits and line edits. I may not know all the semantics between copy edits and line edits, but I know that this stage is all about the words themselves. Now your editors go over your manuscript with a fine-tooth comb. They look for spelling mistakes, grammar, sentence structure, and a whole host of other things you probably weren’t thinking about. I’m an author! I throw words on the page and it’s art! Yeah, not always. Sometimes what you think is a wonderful, poetic sentence is just a gurgling mess of adjectives and dangling participles. Well now the book’s edited and ready to be printed. Time for hookers and blow? Nope! Unless you have a contract with one of the big six, chances are you’re going to have to do some–say it with me–marketing! You got blog tours to arrange, reviews to solicit, blog posts, interviews, press releases, and animal sacrifices to the Marketing Elder Gods to make. Plus you gotta get busy writing that sequel! As an author you may think your job’s done once you write the book, but it’s really just begun. And that’s what kept me awake last night. But with the proper planning and hard work, this process doesn’t have to be overwhelming. (It can just be regular whelming) I need to remind myself of that. Then maybe figure out who actually celebrates with hookers and blow. That’s a thing big celebrities do, right?